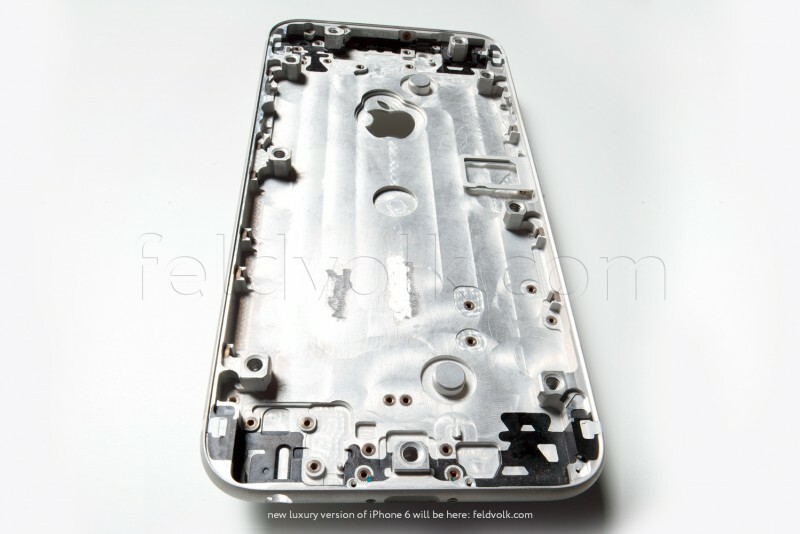 A couple of images and a video have recently appeared on the Internet that show a 'real iPhone 6 body'. The leaked part was first spotted on a Feld & Volk Facebook page. In case you don’t know, Feld & Volk is a Moscow-based company that sells luxury versions of Apple’s iPhone. As the company representatives told MacRumors, the iPhone 6 back panel was obtained directly from Apple’s suppliers. This information hasn’t yet been confirmed, so I suggest that you should take it with a few pinches of salt. Feld & Volk says it has been working with the same factories that make spare parts for Apple products for more than six years, enabling it to get a head start on modifying the device for its customers. Feld & Volk has been using sapphire crystal on its high-end modified iPhones for several years, and says that its sapphire suppliers are the same ones Apple has begun working with more recently. Apple is expected to release its next-gen iPhone 6 in September. According to what people familiar with the matter say, the assembly of the handset will start later this month.